Christchurch Motel Accommodation painting time! Yes! It’s painting time. We started today. 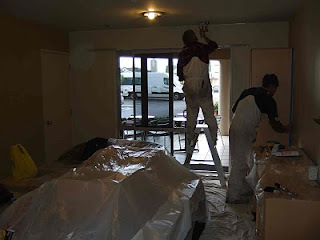 It’s the first time that the motel accommodation rooms have been painted and so we are excited about seeing them finished and looking all new again. It’s planned to be finished by the end of July. 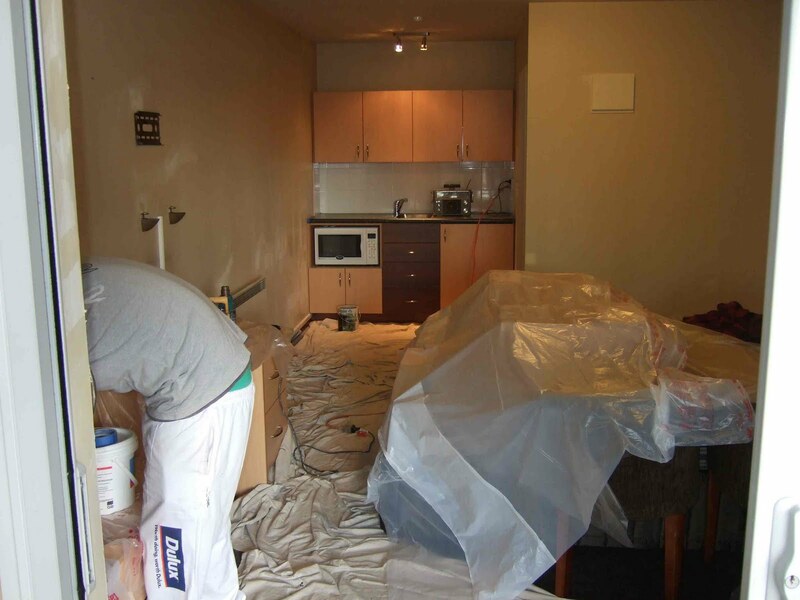 Today the painters started in Suite 2, 3 and 4. Just about everything is removed from the room, TV, mirror, kitchenware etc. but the bed and chairs stay, and then the painting starts. We have 3 painters here doing the work and they work from 8am to just after 4pm with a few breaks through the day. Tomorrow Suite 5 will be added to the painting schedule and then Suite 8 & 9. This month all rooms except Suite 7 will be finished and Suite 7 will be done in the middle of July and then we will be all NEW!! To book your all new motel Christchurch accommodation, Suite 2-3-4&5 will be ready for early next week. To experience this, call us on 0800 859 00 or from overseas. Come and experience the all new Luxury motel Christchurch. 6,000 people took part in the 30th. SBS Marathon on 6 June in Christchurch. The start was at 9am only 300 metres from CentrePoint on Colombo Motel and Jeff went down to cheer the runners on. The weather was cool with lite rain (I always try to make things sound nice!) although that was easily surpassed by everyone’s eagerness to get going. 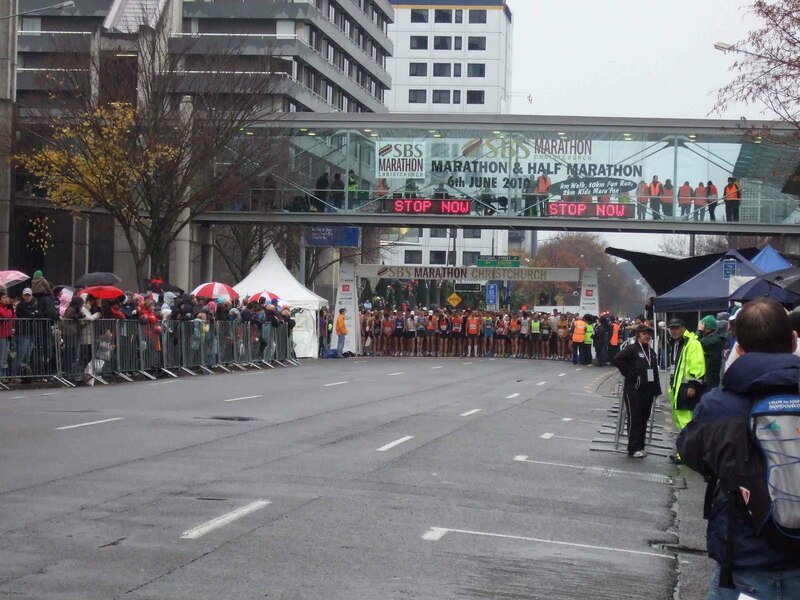 It is said to be the easiest marathon course in NZ - Yes! 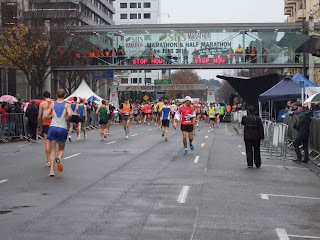 a marathon course can be described as easy!! And there was something for everyone – the full marathon, half marathon, half marathon walk, 10k run, 10k walk, kids marafun 2k and kids marafun 5k2.5km. With us, of our 12 rooms, 7 rooms were occupied with guests who had booked their Christchurch motel accommodation at CentrePoint on Colombo Motel. Next year book your Christchurch marathon accommodation early to be sure to get what you need. In the 3rd. 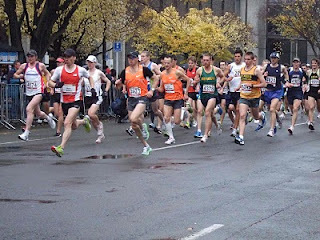 photo, the man in the middle in green is the person who won – Matt Smith, a local from Christchurch!